Apparently Stormzy is returning from a "nine month silence". I'll be honest, I didn't notice, not that it really matters. I find anyone involved in any strand of hip hop/rap never truly disappears, they're always around, lurking somewhere - for example, more recently he's featured on P Money's album and both Raye and Ray Blk's EPs. So it really hasn't been nine months at all. 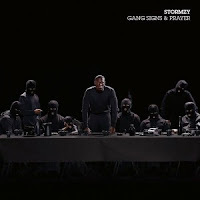 We'll leave that, though, as Stormzy is back with his debut album, Gang Signs & Prayer, set for release in a mere three week's time. 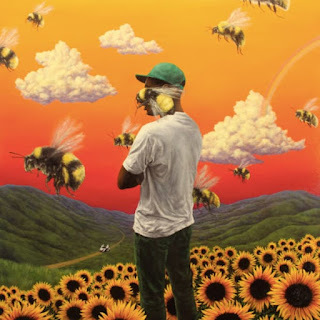 The record features guest appearances from Kehlani, MNEK, and Raleigh Ritchie, as well as breakout single 'Shut Up', alongside the album's lead single 'Big For Your Boots'. Let me tell you how unprepared I was for this song: Very. I can categorically state that I was by no means expecting for Stormzy to release anything that could even come close to being on par with the likes of Skepta's recent actual chart hits, for example. It's fair to say, I was shook. 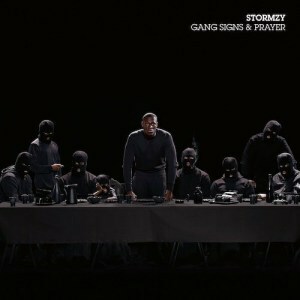 The beat is fast, the vocal sampling is impeccably spot on and Stormzy goes so hard on a first listen I could barely keep up. But let's focus on the real star of the show, the Daps directed music video. Could anything more iconic have possibly been created? I think not. The opening shot of Stormzy amongst an all star cast of badass looking females, including the aforementioned Raye and Ray Blk as well as Julie Adenuga and more, is absolutely amazing. My personal favourite location is Stormzy and his girlfriend Maya Jama in Morley's. Morley's! I mentioned (somewhere) a couple of weeks ago that I couldn't imagine growing up in an area without Morley's on street corners - you know they even do mozzarella sticks now? Learning that The Chicken Connoisseur was asked to be in this video as well is something quite incredible. The above video have valuable content related to big for Boots. I really happy to get this video help to understand the basic tips. Well! you can find out more related to boots from this site.